Sound the claxons! 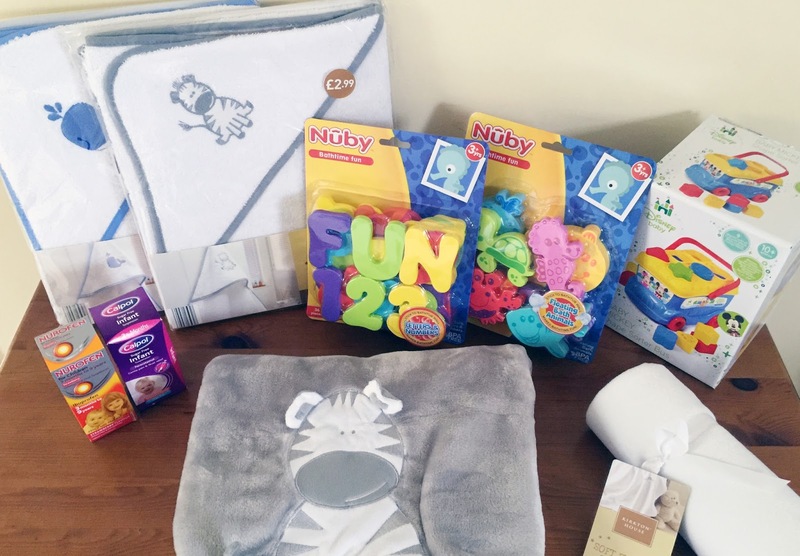 Aldi are having one of their Baby and Toddler Specialbuys events in store where you can grab yourself some serious bargains. We went to one earlier in the year and found some fantastic bits for Zach so when they contacted us and asked if we wanted to check out what they had on offer this time around we jumped at the chance. 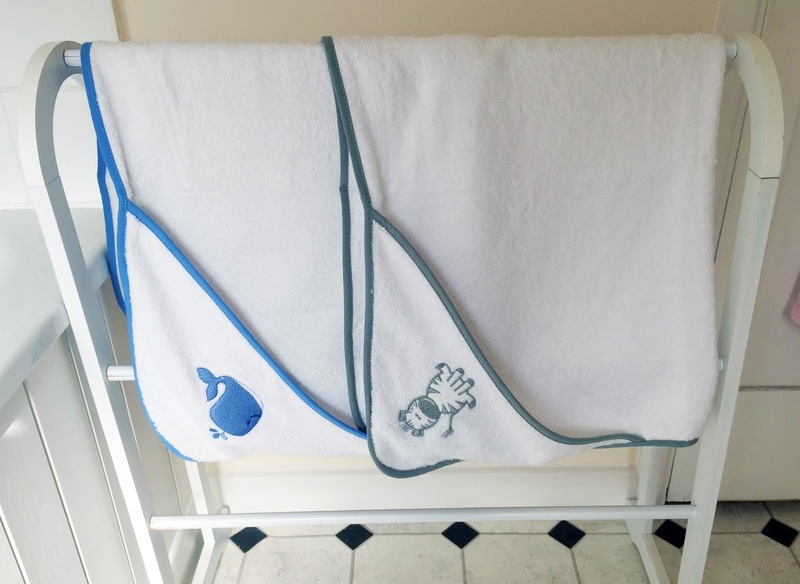 The first thing we picked up were some super soft fleece blankets which will be perfect throughout autumn and winter when the weather's cooler. Especially as our house gets pretty cold in winter! 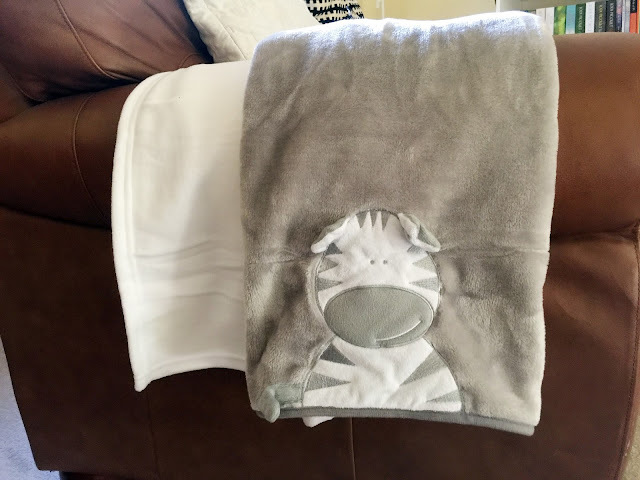 We picked a plain white blanket (£2.79), and a grey one with a zebra (£4.99) which is just so cute. It was the last one in our local store, and I just had to grab it! 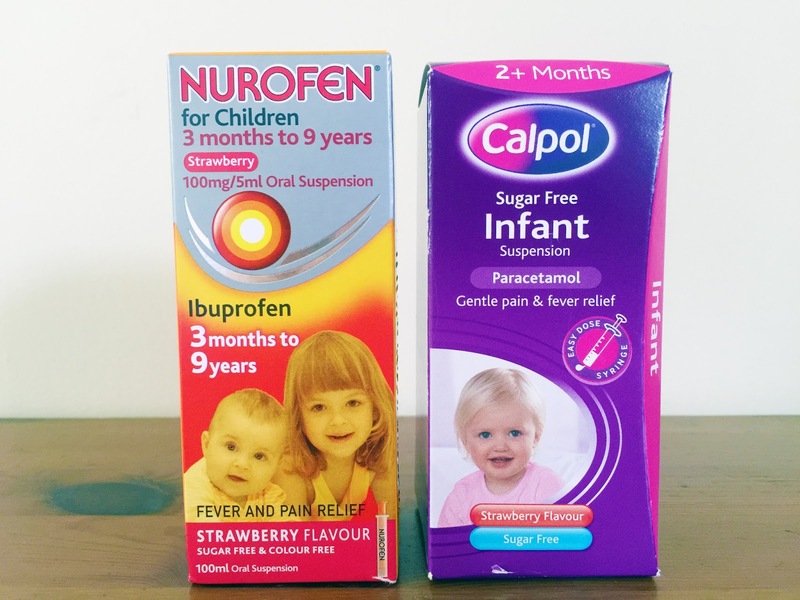 Next we picked up some teething essentials - baby nurofen (£2.49) and calpol (£1.99). We try to give Zach as little medication as possible as we don't think it's good for him to have it very often however it is definitely needed when he is teething. We've just had his first two teeth through on the bottom and we think that a top tooth might be joining them soon so thought we would get some in ready. 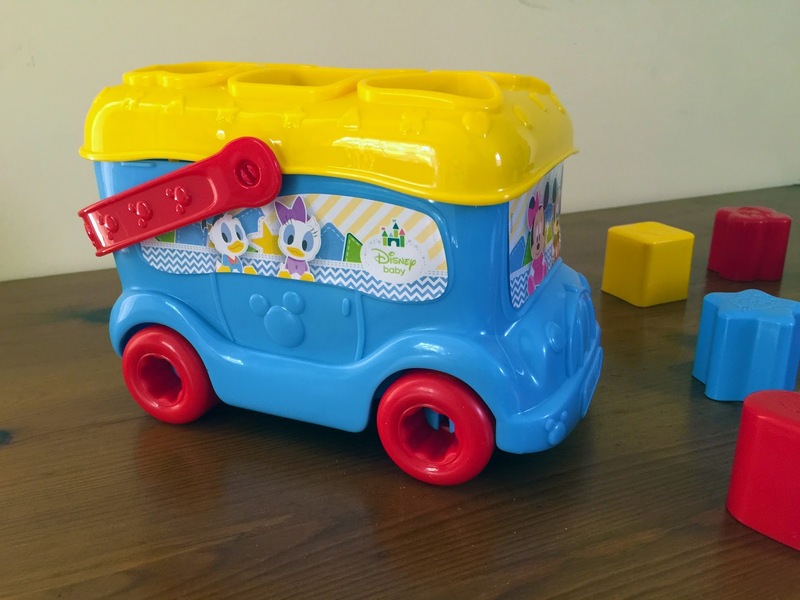 The next few things we picked up are for bath time - Zach's favourite! We chose two hooded towels (£2.99 each) as Zach has outgrown the ones he had as a newborn and these are a lot bigger. They have a cute animal design on the hood and they are so so soft which is perfect for Zach's delicate skin. 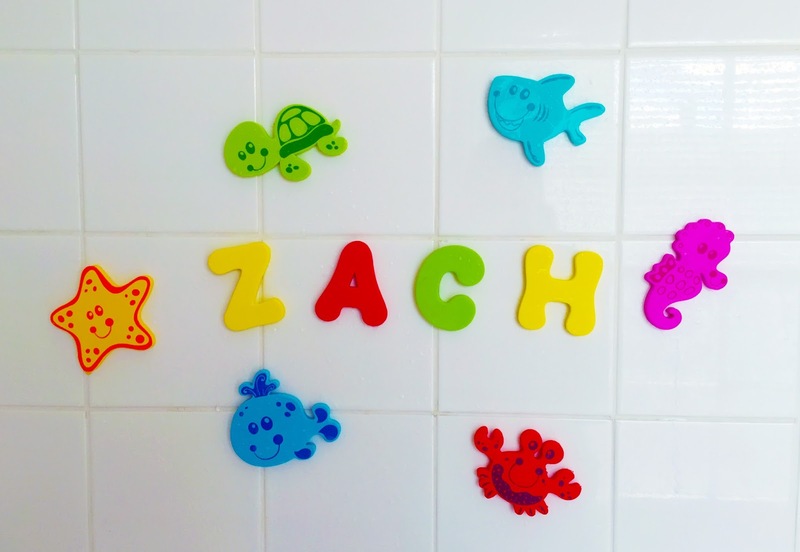 We also chose some foam letters, numbers and animals (£2.89 per pack) for Zach to play with in the bath. I used to love these as a child, and I think they are such a classic. 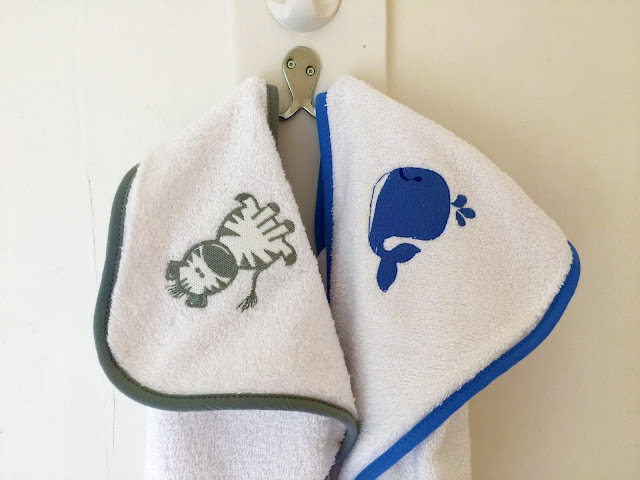 They are bright and colourful and perfect for making bath time that little bit more exciting. 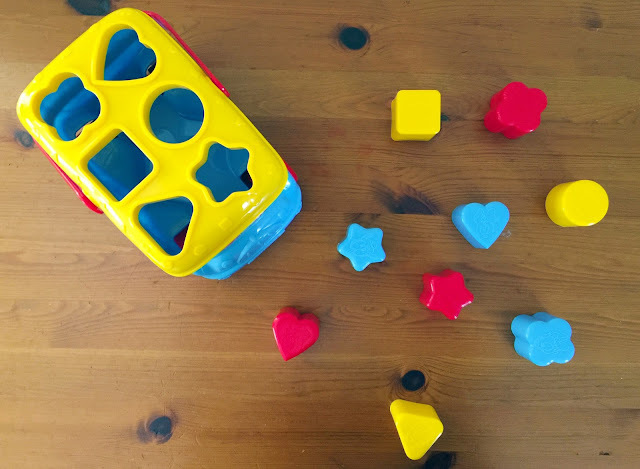 The last thing we picked is a toy for Zach which will be perfect for helping develop his hand-eye coordination as well as being lots of fun. 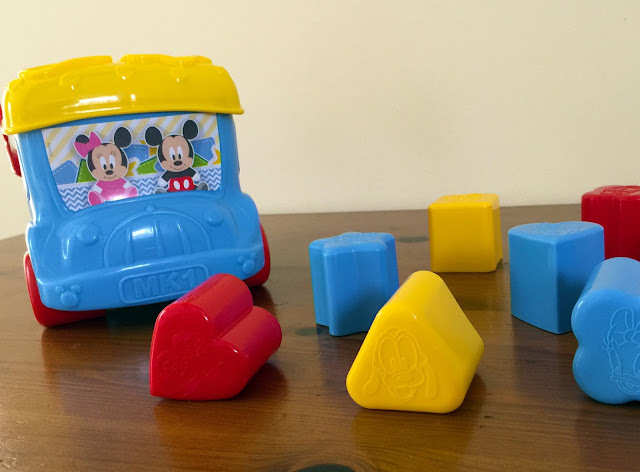 It is the Disney Shape Sorter Bus (£6.99) which reminds me so much of my own childhood! I love the bright primary colours and I'm sure that it will be something Zach will get lots of use out of. I think we chose some great things for Zach and they were all so reasonably priced. In fact the total came to £31.01 which is an absolute steal! Make sure you head over to your local Aldi store to see the rest of the products available in the event before it's too late! We love Aldi and do our big food shop every week. The baby & Toddler events are always fantastic, I sadly missed it this time but managed to pick up another Nuby bottle for Joey. I think the Aldi events are so much better than the likes of Asda and Tesco. Looks like you got some great bargains.